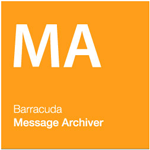 The Barracuda Message Archiver archives emails for organizations of all sizes. 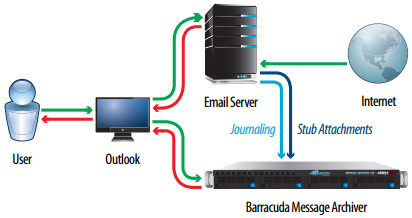 The entry level Barracuda Message Archiver 150 handles up to 150 users. 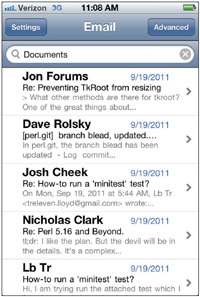 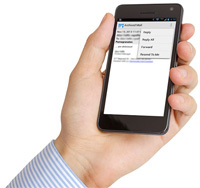 The higher capacity Barracuda Message Archiver 950 handles up to 6,000 users. 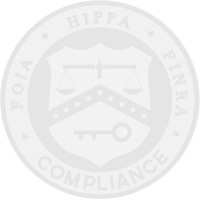 These specifications are not limits of the system, but are the recommended capacity. 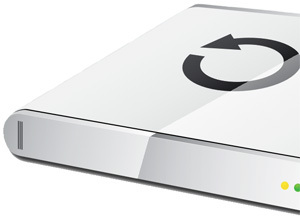 By itself, Barracuda Backup has been shown to reduce the amount of backup data stored by 20 to 50 times compared to tape backups. 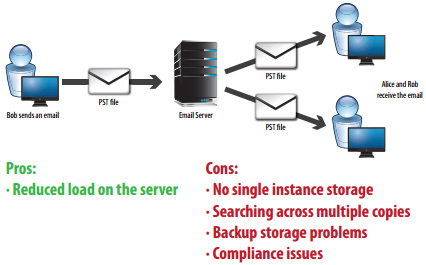 By combining an email storage solution— the Barracuda Message Archiver—into your backup strategy, you can further reduce the volume of backup data that would otherwise be stored as duplicated, uncompressed email-server files and PST files. 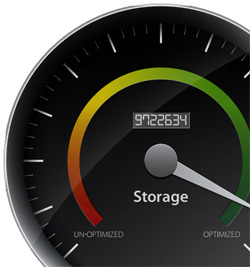 After the initial reductions in stored data, Barracuda Backup and Barracuda Message Archiver continue to minimize the growth of storage through ongoing deduplication and compression.